Pricing. The price for a Sublime Text license key has increased by $11, from $59 to $70, the first price rise in Sublime Text’s five year history. 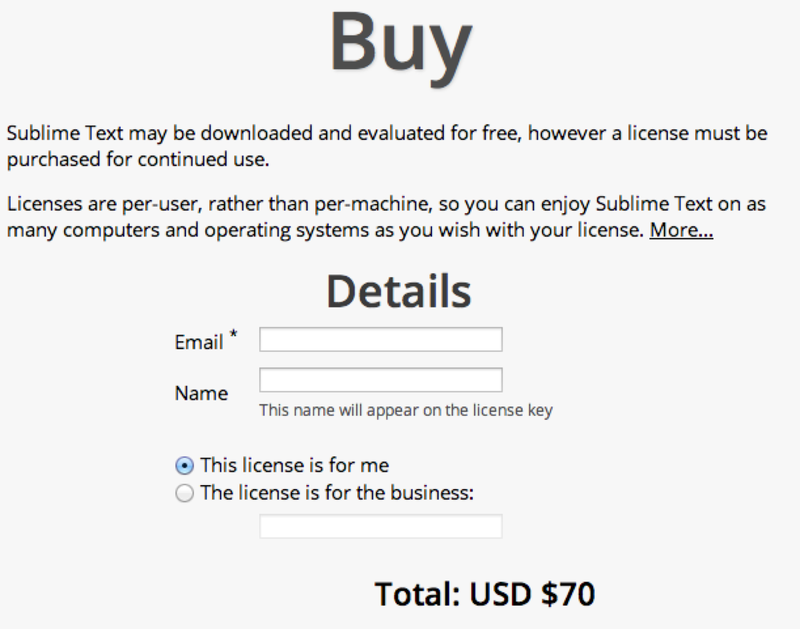 All licenses purchased at this new price are valid for Sublime Text 3. Users with a Sublime Text 2 license key can continue using the key with Sublime Text 3 while it’s in beta. When 3.0 is released, upgrades will be available for $30, or $15 for users who have purchased recently. The cut off date for the reduced upgrade price will be based on the actual date of the 3.0 release.